OneDublin.org had the privilege to interview Justin Minor for OneDublin.org’s YouTube Channel (two part interview available below). Mr. Minor learned earlier this week of being named the City of Dublin’s Young Citizen of the Year. Mr. Minor is a Dublin High student and Wells Middle School graduate who is enjoying an exceptional senior year. 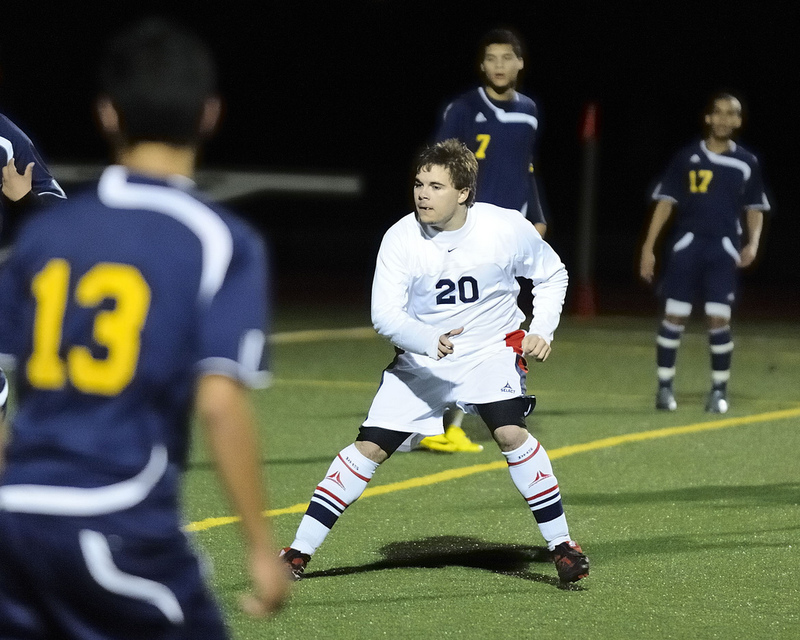 He was recently notified of early acceptance into the University of California (UC) – Riverside for Bioengineering. Mr. Minor called out Dublin High science teacher Julianne Sundstrom for sparking his interest in bioengineering and helping him achieve his dream. Justin Minor as Borachio in "Much Ado About Nothing"
In addition to academic excellence, Mr. Minor has a passion for athletics and is a member of Dublin High’s Varsity Soccer team. Dublin High Varsity Soccer won the DFAL league title for the first time in Dublin High history and is heading to the NCS championship game. 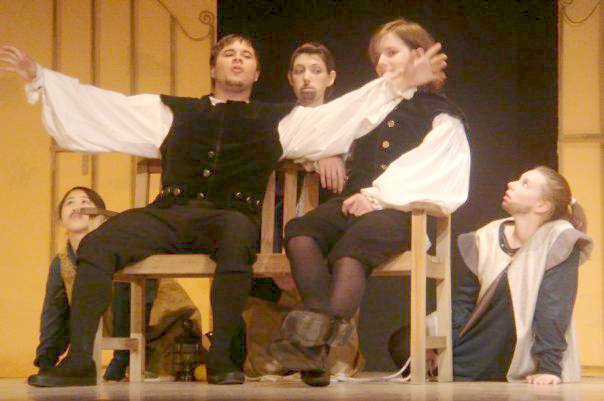 During his senior year, Mr. Minor also participated in two Dublin High Drama Club productions, including playing the role of Borachio in Shakespeare’s “Much Ado About Nothing”. Mr. Minor was recognized as Dublin’s Young Citizen of the Year in part for his volunteer work. Mr. Minor has been involved in Scouting since the 2nd grade and his Eagle Scout project involves working in an all-autistic classroom at Dublin Elementary. Mr. Minor also coordinates community building activities with Dublin teens through the City of Dublin. Congratulations from OneDublin.org for your outstanding achievement and fine example to other Dublin teens.